I was sitting in class in the spring when the discussion turned towards possible changes within Millsaps. One classmate offered her opinion that was something to the effect of, “We shouldn’t even have a football team. 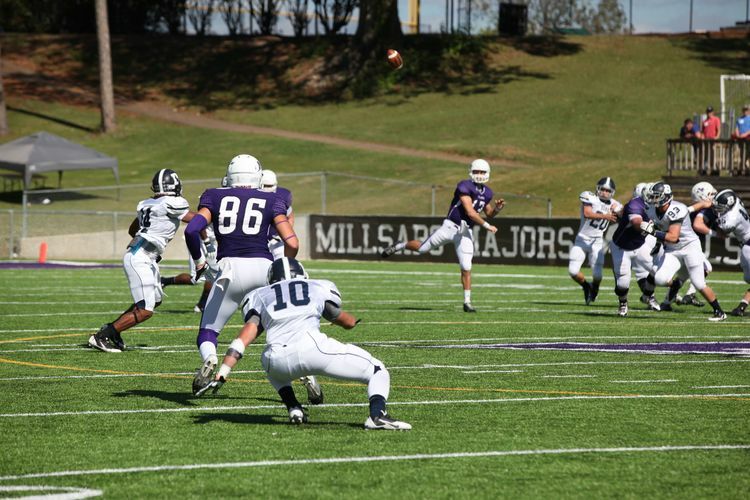 Millsaps athletics should be club sports; they don’t make revenue for the school anyway.” I was so caught off guard by her asinine comment that I could barely muster a response polite enough for the setting. Athletics are, in my opinion, the driving force that keeps this institution alive. The previous issue of The P&W reported that we have 745 undergraduate students. That number baffles me as much as I’m sure it does you. It made me remember that classmate’s comment from the spring. What if the athletic department wasn’t recruiting athletes to enroll here? Look around campus, and you’ll quickly realize that over half of our student population is on a team for varsity competition. That doesn’t even include the people who came here to play a sport but are still on campus finishing their degree as non-athletes. I think back to my senior year of high school and the colleges I was interested in attending. I’m from Florida; I would have never heard of Millsaps College if Tim Wise hadn’t called me. I assumed others had a similar experience in deciding to enroll here, but I wanted to find out for sure. I asked three simple questions to 90 current and former Majors. The answers didn’t shock me. About what I expected, 58 percent, said they would have never heard of Millsaps if it wasn’t for their coach contacting them. What was amusing was how many of those who had heard of Millsaps clarified it with “(Name) from my high school came here before me to play (sport)” or “My older sibling came here to play a sport.” An unsurprising 92 percent said they would not have enrolled here if it wasn’t for the opportunity to compete in varsity athletics. Some offered a little more clarification; “Absolutely not,” “Hell no” and “Never in a million years” stood out. And finally, 94 percent said the opportunity to compete in varsity competition was their main reason for coming to Millsaps. Athletics doesn’t produce any revenue for the school? Think again. It’s called tuition dollars. This is NCAA Division III. There are zero athletic scholarships. Athletes’ tuition isn’t any cheaper than non-athletes. And the teams on campus do the majority of their own fund-raising! The next time you consider the importance of athletics to a tuition-driven institution like Millsaps, just think of how many undergraduate students we would have without the head and assistant coaches calling, texting, e-mailing and visiting high school seniors. Without their “tuition dollars coming through the door,” as Kenneth Townsend put it in the previous P&W article about enrollment, that class you have with 14 people could easily be with six. Or not exist.